Clinicians know the recommendations regarding when and when not to prescribe antibiotics, but they do not always follow them, according to in-depth interviews with 36 Physicians, Nurse Practitioners (NPs), and Physician Assistants (PAs). Guillermo Sanchez, MPH, from the Centers for Disease Control and Prevention, Atlanta, Georgia, and colleagues report the results of their interview-based study in an article published online November 13, 2014 in Emerging Infectious Diseases. Reasons for straying from the guidelines range from believing that a non-recommended antibiotic will work better for a patient, particularly when considering allergies or complicated medical histories; concern about patient dissatisfaction; fear of related infection; and concerns about legal action.Clinicians indicated that although they are concerned patients could build up a resistance to antibiotics, those concerns do not usually affect their choice of drug. The researchers conducted in-depth interviews via digitally recorded telephone calls and transcribed the recordings to accurately assess primary care providers’ prescribing behaviors. The breakdown of participants was nine pediatricians, nine family medicine physicians, nine internal medicine physicians, five NPs, and five PAs. Dr. Sanchez and colleagues used a screening questionnaire to recruit potential participants from a nationwide marketing database. Eligible participants spent at least half of their time with patients in a primary care setting and were older than 30 years. The authors excluded clinicians with a board certification outside of primary care or if they had practiced medicine for more than 30 years. Before the interview, participants filled out a questionnaire that asked them to rank 12 factors on their influence on antibiotic selection, such as illness severity, patient demand, or practice guidelines. They then discussed their answers with trained interviewees during the recorded interviews. To evaluate clinical decision-making, each participant received a specialty-appropriate clinical vignette about a patient who had a diagnosis of an acute bacterial infection. The participant was asked to explain why he or she chose an antibiotic and why other primary care providers might choose non-recommended antibiotics. In addition, clinicians often thought broad-spectrum antibiotics would be more successful in curing an infection, although those beliefs are unfounded, the authors say. That thinking may regularly lead to inappropriate selection and should be addressed, the authors note. Clinicians, however, were more likely to choose narrow-spectrum drugs when the diagnosis was more certain or when they saw a patient’s condition as relatively benign. This entry was posted in Antibiotic News and tagged Antibiotic Prescribing, Antibiotic resistance, Antibiotics on November 24, 2014 by cdifffoundation. The EUropean multi-centre, prospective bi-annual point prevalence study of CLostridium difficile Infection in hospitalised patients with Diarrhoea (EUCLID) involved 482 hospitals from 20 European countries. The EUCLID study is being coordinated out of the University of Leeds, UK, by Professor Mark Wilcox’s research group, with support from the EUCLID Core Group. The study was initiated and financially supported by Astellas Pharma Europe Ltd.
Astellas Pharma Europe Ltd., located in the UK, is the European Headquarters of Tokyo-based Astellas Pharma Inc. Astellas is a pharmaceutical company dedicated to improving the health of people around the world through the provision of innovative and reliable pharmaceuticals. As a global company, Astellas is committed to combining outstanding research and development (R&D) and marketing capabilities to continue to grow in the world pharmaceutical market. Astellas Pharma Europe Ltd. manages 21 affiliate offices located across Europe, the Middle East and Africa. In addition, the Company has an R&D site and three manufacturing plants in Europe. The company employs approximately 4,300 staff across these regions. For more information about Astellas Pharma Europe, please visit http://www.astellas.eu. Ananthakrishnan AN. Clostridium difficile infection: epidemiology, risk factors and management. Nat Rev Gastroenterol Hepatol 2011;8:17-26. Davies KA, et al. Second report from the EUropean, multi-centre, prospective bi-annual point prevalence study of Clostridium difficile infection in hospitalised patients with Diarrhoea (EUCLID) PO753. Presented at ECCMID 2014. Bauer MP et al. Clostridium difficile infection in Europe: a hospital-based survey. Lancet 2011; 377:63-73. Kuijper EJ, Coignard B, Tull P. Emergence of Clostridium difficile-associated disease in North America and Europe. Clin Microbiol Infect 2006;12 suppl 6:2–18. Davies KA. Increased diversity of C. difficile PCR-ribotypes across European countries and disparity of 027 prevalence; results of a European prevalence study of Clostridium difficile infection (EUCLID). Presented at ECCMID 2014. Poutanen SM, et al. Clostridium difficile-associated diarrhoea in adults. CMAJ 2004;171:51–8. Kelly CP, et al. Clostridium difficile infection. Ann Rev Med 1998;49:375–390. Crobach MJ, et al. European Society of Clinical Microbiology and Infectious Diseases (ESCMID): Data review and recommendations for diagnosing Clostridium difficile-infection (CDI). Clin Micro Infect 2009;15:1053–1066. Pepin J, et al. Increasing risk of relapse after treatment of Clostridium difficile colitis in Quebec, Canada. Clin Infect Dis 2005;40:1591–7. Bouza E, et al. Results of a phase III trial comparing tolevamer, vancomycin and metronidazole in patients with Clostridium difficile-associated diarrhoea. Clin Micro Infect 2008;14(suppl 7):S103-4. Lowy I, et al. Treatment with Monoclonal Antibodies against Clostridium difficile Toxins. N Engl J Med 2010;362;3:197-205. Louie TJ, et al. Fidaxomicin versus vancomycin for Clostridium difficile infection. N Engl J Med 2011;364:422–31. Bauer MP, et al. European Society of Clinical Microbiology and Infectious Disease (ESCMID): treatment guidance document for Clostridium difficile-infection (CDI). Clin Micro Infect 2009;15: 1067-79. This entry was posted in Pharmaceuticals and tagged Antibiotics, Astellas Pharma Europe, c difficile, C. difficile infection, CDI, Clostridium difficile, EUCLID study, Infection control, Raising C Diff Awareness, superbug on May 12, 2014 by cdifffoundation. This entry was posted in Antibiotic News and tagged Antibiotic resistance, Antibiotics, c diff, CDC, Children, Colds, Get Smart, Pediatrics, viruses on November 19, 2013 by cdifffoundation. Antibiotic resistance has been called one of the world’s most pressing public health problems. The number of bacteria resistant to antibiotics has increased in the last decade. Many bacterial infections are becoming resistant to the most commonly prescribed antibiotic treatments. Every time a person takes antibiotics, sensitive bacteria are killed, but resistant germs may be left to grow and multiply. 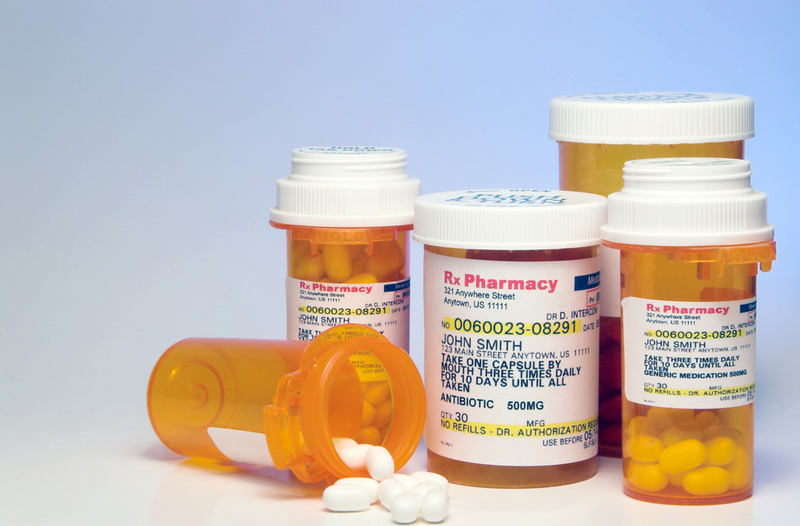 Repeated and improper uses of antibiotics are primary causes of the increase in drug-resistant bacteria. Misuse of antibiotics jeopardizes the usefulness of essential drugs. Decreasing inappropriate antibiotic use is the best way to control resistance. Children are of particular concern because they have the highest rates of antibiotic use. Antibiotic resistance can cause significant danger and suffering for people who have common infections that once were easily treatable with antibiotics. When antibiotics fail to work, the consequences are longer-lasting illnesses, more doctor visits or extended hospital stays, and the need for more expensive and toxic medications. Some resistant infections can even cause death. Parent pressure makes a difference. For pediatric care, a study showed that doctors prescribe antibiotics 62% of the time if they perceive parents expect them and 7% of the time if they feel parents do not expect them. Antibiotics were prescribed in 68% of acute respiratory tract visits – and of those, 80% were unnecessary according to CDC guidelines. National Ambulatory Medical Care Survey (NAMCS) data shows that overall antibiotic prescribing dropped from 13.8 prescriptions per 100 office visits to 12.0 prescriptions per 100 office visits comparing 1997-98 to 2005-06 with a 13% reduction in overall antimicrobial prescribing. According to NAMCS, the Get Smart Campaign contributed to a reduction in antimicrobials prescribed for children <5 years in ambulatory care otitis media (ear infection) visits. In 2007 47.5 antimicrobials were prescribed per 100 visits, down from 61 in 2006 and 69 in 1997. Among children younger than 5 years, annual ARTI (acute respiratory tract infections) visit rates decreased by 17% from 1883 per 1000 population in 1995-96 to 1560 per 1000 population in 2005-06, primarily due to a 33% decrease in visit rates for otitis media. $1.1 billion is spent annually on unnecessary adult upper respiratory infection antibiotic prescriptions. Get Smart has contributed to 25% reduction in antimicrobial use per outpatient office visit for presumed viral infections (NAMCS); intervention studies show a reduction of 8 to 26% for antibiotic prescriptions. Grijalva CG, Nuorti JP, Griffin M: Antibiotic prescription rates for acute respiratory tract infections in US ambulatory settings. JAMA 302: 758-766, 2009. This entry was posted in Antibiotic News and tagged Antibiotic resistance, Antibiotics, c diff, CDC, Get Smart on November 19, 2013 by cdifffoundation. What can I do to feel better if antibiotics won’t treat my illness because it’s caused by a virus? For children and adults, over-the-counter pain relievers, decongestants and saline nasal sprays may help relieve some symptoms. Remember, always use over-the-counter products as directed. Many over-the-counter products are not recommended for children younger than certain ages. Over-the-counter medicines may help relieve symptoms such as runny nose, congestion, fever and aches, but they do not shorten the length of time you or your child is sick. Learn more by reading below about over-the-counter medicines. Here are some helpful tips for how to feel better depending on how you or your child feels. For children and adults, over-the-counter pain relievers, decongestants and saline nasal sprays may help relieve some symptoms. Remember, always use over-the-counter products as directed. Not all products are recommended for children younger than certain ages. Overuse and misuse of OTC cough and cold medicines in young children can result in serious and potentially life-threatening side effects. These medicines may help relieve symptoms such as runny nose, congestion, fever and aches, but they do not shorten the length of time you or your child is sick. For adults, over-the-counter pain relievers, decongestants and saline nasal sprays may help relieve some symptoms. Remember, always use over-the-counter products as directed. For children, over-the-counter pain relievers, decongestants and saline nasal sprays may help relieve some symptoms. Not all products are recommended for children of certain ages. Q: What pain relievers can I give my child? A: For babies 6 months of age or younger, parents should only give acetaminophen for pain relief. For a child 6 months of age or older, either acetaminophen or ibuprofen can be given for pain relief. Be sure to ask your child’s healthcare provider for the right dosage for your child’s age and size. Do not give aspirin to your child because of Reye’s syndrome, a rare but very serious illness that harms the liver and brain. Q: Should parents give cough and cold medicines to young children? A: The Consumer Healthcare Products Association (CHPA), a group that represents most of the makers of nonprescription over-the-counter (OTC) cough and cold medicines, recommends that these products not be used in children under 4 years of age. The Food and Drug Administration (FDA) supports this recommendation. Overuse and misuse of OTC cough and cold medicines in young children can result in serious and potentially life-threatening side effects. Q: What can parents do to help their children feel better if they are too young to take cough and cold medicines or the healthcare provider advises against using them? A: Parents might consider clearing nasal congestion in infants with a rubber suction bulb. Also, a stuffy nose can be relieved with saline nose drops or a clean humidified or cool-mist vaporizer. Q: Should parents give cough and cold medicines to children over 4 years of age? A: Cough and cold symptoms usually go away without treatment after a certain amount of time. Over-the-counter cough and cold medicines will not cure the common cold, but may give some temporary relief of symptoms. Parents should consult their child’s healthcare provider if they have any concerns or questions about giving their child a medication. Parents should always tell their child’s healthcare provider about all prescription and over-the-counter medicines they are giving their child. Q: What should parents and doctors be careful of if they want to give cough and cold medicines to children over 4 years of age? A: Always keep medications in original bottles or containers, with the cap secure, and up and away from children. Children getting into and taking medications without adult supervision can lead to serious and potentially life-threatening effects. Avoid giving more than one cough and cold medicine at a time to children. Two medicines may have different brand names but may contain the same ingredient. 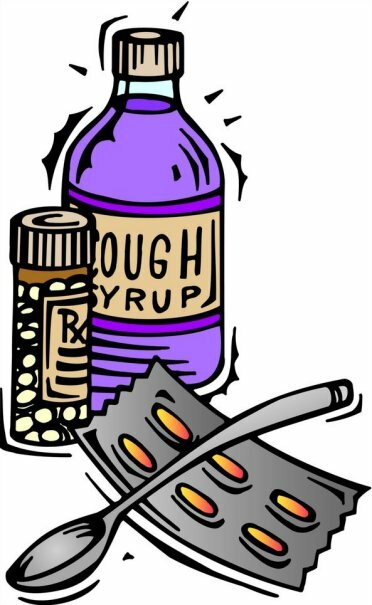 Some cough and cold medicines contain more than one active ingredient. Also, follow directions carefully to avoid giving too much medication; the right amount of medication often depends on your child’s age and weight. What Can You Do To Protect Yourself Or Your Child? When you use antibiotics appropriately, you do the best for your health, your family’s health, and the health of those around you. Take it exactly as the doctor tells you. Complete the prescribed course even if you are feeling better. If treatment stops too soon, some bacteria may survive and re-infect you. This goes for children, too. Make sure your children take all medication as prescribed, even if they feel better. This entry was posted in Pharmaceuticals and tagged Antibiotic resistance, Antibiotics, c diff, Clostridium difficile, superbug on November 18, 2013 by cdifffoundation.